At BlueTone Media, we have served businesses in the Wilmington area (and throughout the United States) for over 12 years. Our customer-focused approach sets us apart from the competition, which is proven by the long-standing relationships we have with our clients. Our custom designed websites are developed with our clients goals in mind. Creating a beautiful website is only the first step. We spend the necessary time to truly understand each clients goals so that the final design meets their business' objectives. With the growing use of mobile devices, it is becoming increasingly more important that your website is mobile-friendly. Google has gone as far as warning website owners that their rankings could be negatively affected if their website isn't mobile-friendly. If your website is your business, you know that rankings equal traffic and traffic equals sales. At BlueTone Media, we can build you a responsive design, which allows your website's layout to scale and adapt based on the user's device (smart phone, tablet, laptop or desktop). 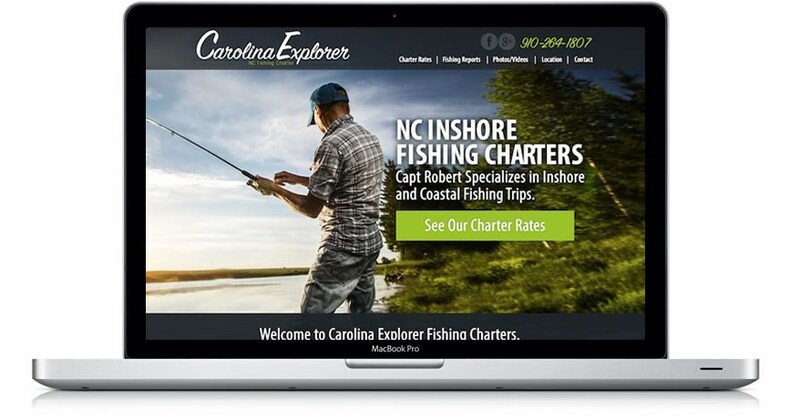 If you are looking for a custom website contact us today or view our online portfolio.